Happy Birthday to Benzin & Koffein! I just stopped by to congratulate them and the place was already full at 19:00h ! There was beer, there was cake and…irish coffee! Which was made in a rather untraditional way – using a siphon, in which the coffee was mixed with sugar syrup and whiskey, then poured into glasses and lastly the cream was added on top. Denise gave credit to Micha Schranz for the recipe – thanks! it is delicious and extremely easy to make. 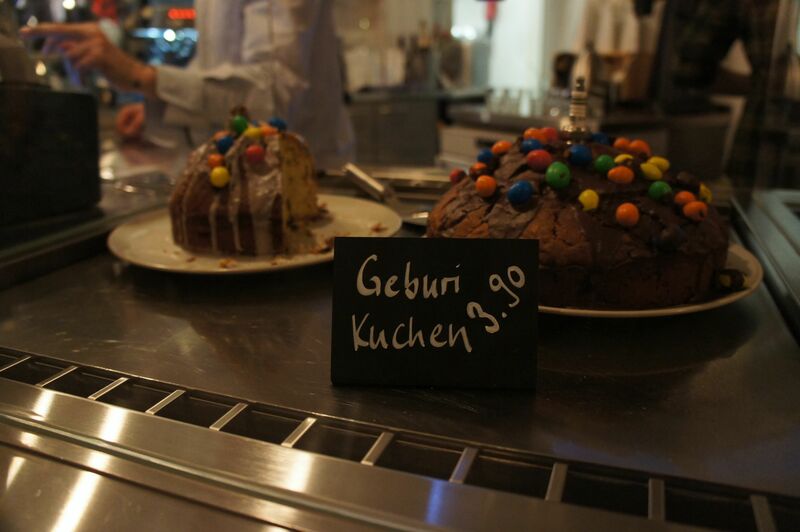 I thought it might be amusing to put the post I wrote for Benzin & Koffein last year when I first visited the place, so here it is – Benzin und Koffein, Zurich.